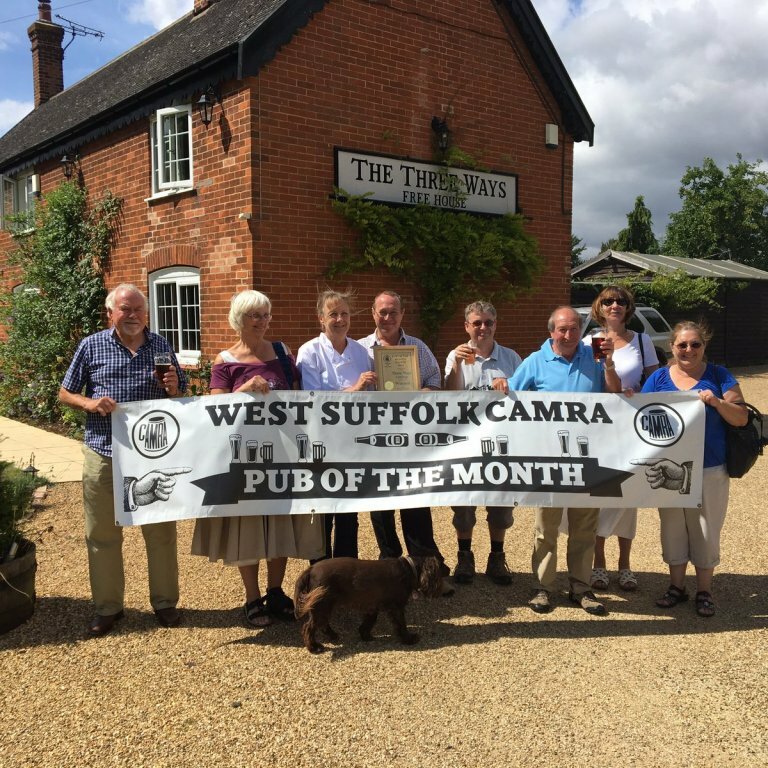 West Suffolk and Borders CAMRA was formed in 1977. Apart from a short period in the mid-1980s when it disbanded for a short while the branch has flourished to the current day with a branch membership of 1080 (Feb 2017) and is one of over 200 branches of the Campaign for Real Ale in the United Kingdom. Our branch area extends from Brandon in the north to Nayland and the Essex border in the south, and from Newmarket and Exning in the west to Finningham in the east. There are around 200 pubs in our branch area which we strive to promote and protect. The Campaign for Real Ale is an independent, voluntary organisation campaigning for real ale, community pubs and consumer rights. CAMRA has over 180,000 members across the world, and has been described as the most successful consumer campaign in Europe. Here in West Suffolk our primary focus is to promote pubs and pub going in our local area. Our branch committee meets on the first Wednesday of each month, with meetings held at different pub locations across the locality. In addition we issue a variety of other awards including annual awards for community pubs, clubs serving real ale, cider pubs and the overall Pub of the Year. The latter two winners can go on to compete for regional and national awards. Another key branch responsibility is to manage the local entries in CAMRA's annual publication the "Good Beer Guide". Our branch has 24 entries in the Guide which are reviewed each year when removals and additions take place. None of this can be done without the support of our members who are encouraged to contribute to the nomination and selection of award winners and Good Beer Guide entries. All CAMRA members are welcome to attend branch meetings and activities, see Branch Diary page for more information - we look forward to seeing you!